Are you an Android user? And do you know how to sharp the handset and keep it in true smart status? So of you might guess whether we are going to talk about Android rooting? Of course our narration will also cover such a part and even beyond that. We brought you the MTK droid tools which are the tool that can support you behind flashing in a correct manner. Its latest version is now in the air with perfect functionalities for a stable flash approach. Unlike some other common utilities, this can even support you when you need to flash IMEI, create complete backups and so on. According to developer’s note, the utility has been developed to a perfect plan that even can identify and support almost all MTK chipset based smart handset replicas in the market. Moreover, any other type of device can set through at any condition. Create scatter files are the most significant part for there is no other stable and a supportive manner that users capable to arrange their scatter files for operations such as stock firmware flash approaches. What can we gain through? In this topic, we are going to let you know what the functionalities that we can move through are. Root the Android system is the first function we want you to consider, throughout, you can bring root-only features to the device and enjoy stay behind rooted. 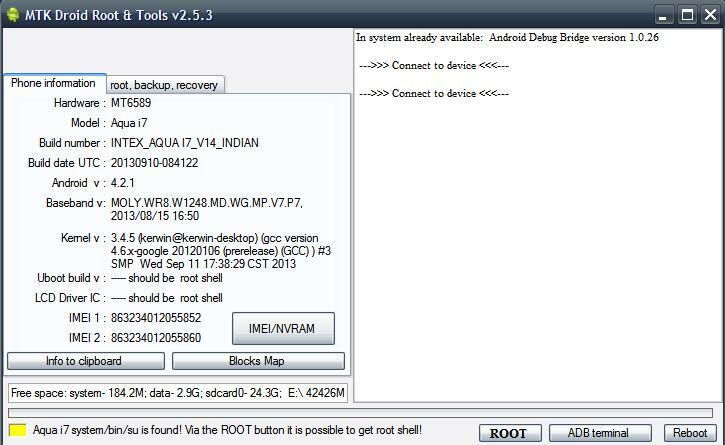 For the application can support single click rooting, you do not need to move through difficult procedures. And then you can create recovery backups. When you need to set the backup to the handset, there is a restore option as well. Moreover, easily arrange stock backups that you can restore whenever you want. Scatter file creation is the next which you need to compile when you are ready to flash stock ROM on your MediaTek Smartphone. And there is a one more thing that you can use to browse the IMEI number. It is important since IMEI number is required as the identity of your handset. 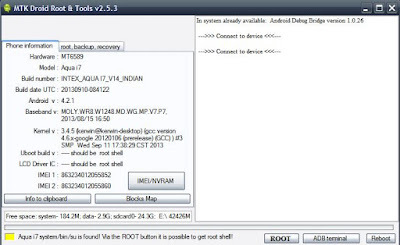 How to root or apply the MTK droid tools? You can simply download the most recent release of the utility and enter the certain function that you need to bring about. For there are separated steps to enter, you better search for a proper step guide first. And then there you have to backup if there is any important file. Compile a USB cable and a properly workable computer too required. And also, charge the handset battery. The most recent version 2.5.3 of MTK droid tools available for free of charge. You can search the web and download the certain package on your desktop. It is not complicated to launch and easily pick up the functionality that you desire to carry on. Even use the hottest edition, your handset might void the warranty when you request the utility to root or recover the IMEI if there will be something erroneous. So be careful and submit it at your own risk.